A children's hospital in Philadelphia is over $900,000 better off following the recent "All In" for Kids Poker Tournament hosted by none other than Phil Hellmuth. Organised by the WPT Foundation and the The Children's Hospital of Philadelphia, the special tournament attracted a host of familiar poker faces including WPT anchor Lynn Gilmartin and commentator Vince Van Patten, event co-founder Dan Shak, Vanessa Selbst, WPT Season IX Player of the Year Andy Frankenberger and Rounders co-creator Brian Koppelma. Stars from sports, stage and screen including NFL players Mike Quick and Justin Pugh, and ice hockey favourire Ken Daneyko were on hand, as were doctors, donors and families of patients from the hospital. 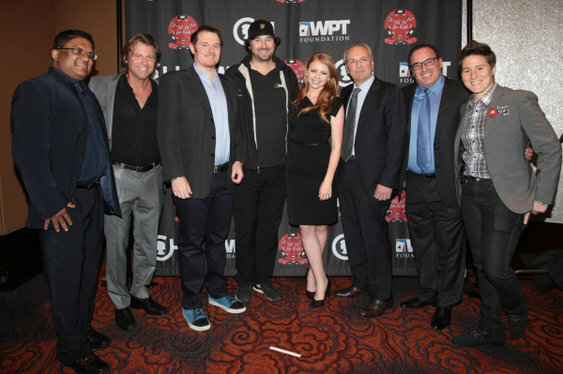 Plenty of cash was raised in a charity auction where guests were able to bid on sports memorabilia, vacations, and a VIP experience at the Season XIII WPT Borgata Winter Poker Open in Atlantic City. The tournament was won by Lance Breitstein from New Jersey.